After ongoing discussions for more than a year, the Minneapolis City Council voted unanimously on Friday May 27, 2016, to become the first city in the Midwest and the 23rd city nationally to mandate paid sick leave for employees. Minneapolis Mayor Betsy Hodges first called on the Minneapolis City Council to pass a local sick leave ordinance in her April 2015 State of the City address. Since that time, numerous businesses, community members, and a fifteen-member task force named the Workplace Partnership Group have been studying and weighing in on the passage of a sick leave ordinance. The ordinance will become effective July 1, 2017, although some newly formed businesses will have a one-year grace period to provide paid sick leave. employees who work at least 80 hours per year in Minneapolis. to employees who work at least 80 hours per year in Minneapolis. Covered employees (both part-time and full-time) will accrue 1 hour of sick time for every 30 hours worked, up to a maximum of 48 hours per year. Employees may rollover unused time from year to year up to a total cap of 80 hours of sick time. 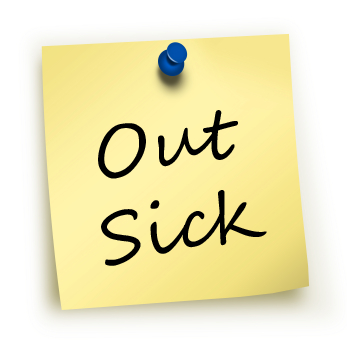 Employees may start using sick time after their first 90 days of employment. - Loss of City business license. The ordinance permits employees to use accrued sick time for a wide variety of reasons, including their own medical appointments or sickness, sick family members, absences due to domestic violence, sexual abuse or sexual assault, and unexpected childcare needs. Additionally, because of the broad phrasing of the ordinance, employers based outside of Minneapolis will need to provide sick leave to their employees who work at least 80 hours per year in Minneapolis. The Minneapolis Department of Civil Rights is charged with the enforcement of the ordinance, and in the coming months the City will be preparing a poster for covered employers to display. Covered employers are also required to update their handbooks to include the notice of the sick leave ordinance rights and remedies. Covered employers should begin preparing for the July 2017 effective date well in advance, since the new sick leave ordinance requires careful updating of handbooks, policies, and procedures. 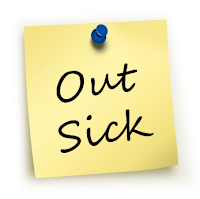 Please review our client alert for a more in-depth analysis of the Minneapolis sick leave ordinance and what it means for local employers. If my Minneapolis-based company provides 80 hours of PTO per year to full-time employees already, will I need to make any changes or am I already covered? Thanks for your question. The ordinance permits the sick leave obligations to be satisfied through a PTO policy. That being said, the ordinance will, as of 7/1/17, require that every employee working at least 80 hours a year within Minneapolis, accrue 1 hour of sick time (paid or unpaid depending on the employer’s size) up to an annual cap of 48 hours per year. The ordinance, therefore, requires employers to have protected sick time for covered part-time employees, not just full-time employees.